It's such a shame; it would have been better if it was a worldwide promo or like the #41999 with numbered boxes. Hopefully later this year the rest of the world could also get a chance to get it. I hope they end up selling this, unless I win. At which point I won't care as much. I do really want it though. 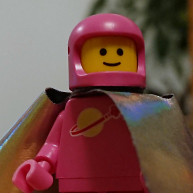 I don't really understand the value in Lego not selling or selling in way of a giveaway (you buy things you wouldn't have from them in order to get the free set) things like this. This just leads to resale which Lego say they don't like but they are the ones keeping the market going. Anyway I want one but might have to be happy with building my own might make a mini bag end too if I need to bricklink any parts. ^Correct me if I'm wrong, but those tire rims look like light gray to me; not the black rims used in the UCS Tumbler set. Thoughts? In the context of BrickLinking the set, a pair of light gray rims will save only ~$1.50 over the black rims (in the US, current items for sale). It's the tires that are expensive. If the prices are ridiculous high on the secondary market I might as well design my own MOC to go with my UCS Tumbler. ^I always assumed the rear wheel of the pod was just stored somewhere within the hulking size of the Tumbler along with its motor and whatever else to make cutting loose easier. 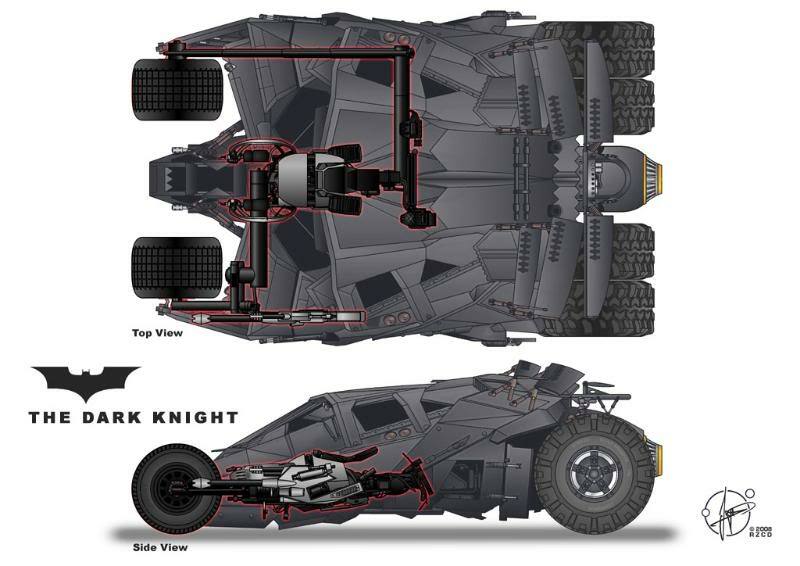 I can't think the front and rear tires from the Tumbler would both belong to the Batpod and the Tumbler be able to maintain any sort of structural rigidity or toughness. The Bat-Pod does in fact use both front tires, it is just folded in a U shape when it is the Tumbler. It's been a while since I've watched any of the Dark Knight films, but I'm pretty sure it's meant to be the two front wheels of the tumbler, I think the implication is that the driver's seat sort of swivels round the wheels as it detaches...I know that mechanically that doesn't make much sense, but then the way Batman/Catwoman drive it generally doesn't make much sense either. The bat pod uses both the front wheels of the Tumbler. I'm holding out for the mini Bat-pod to show up. Fair enough. I've often wondered about how both the front wheels are used; just didn't look closely enough during the movie. I agree that using a front and back wheel would make a difficult ride, but the engineering the Pod to use both front wheels (as is apparently the case) would be ridiculous. That Bat-Pod mechanism is insane! I wonder if someone could actually do it by modifying the UCS Tumbler. The tyres are available on the Bricks & Pieces site for 8.50 GBP. I need some time to plan the Bat-Pod MOC before I purchase them. Looks easy enough to source. The tires and hubs will set you back about $25 through Bricks & Pieces. ^Yeah...it seems like I used to be able to purchase any set that interested me. Now I have to be a lot more choosy...as in...do I choose to eat or do I choose to buy Lego sets. I'm guessing only the box and instructions will be exclusive, it shouldn't have any exclusive elements. It would be a bummer if they had an exclusive Catwoman or Bane minifigures! Can't quite make them out on my phone but are the hand guards and foot rests a new part? ^ I think he might be referring to the knee rest and the part that the antennas are connected to on the front of the bike. Those kind of look like Hero Factory armor in dark bluish gray. Definitely concerned those are unique colors or elements. Been looking or the hand guards, they look like they might be hero factory or bionicle part but no luck. ^^Well LEGO is known for not introducing new molds in D2C sets, it might be in an upcoming Bionicle set. Win one of these and you could probably sell it and buy a Tumbler and possibly more. ^There are only 750, you'd be able to buy a Tumbler and lots more, I think. 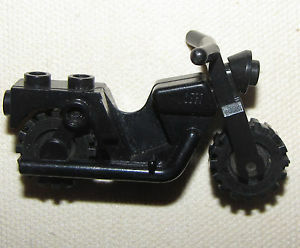 I'm pretty sure the hand guards are this part, http://brickset.com/parts/4652395 . Hopefully they won't be black, because that part was only available in 1 Hero Factory set and OOS on Bricks & Pieces. Canada is finally part of something. Yay. I will definitely be trying to get this one. I've heard that there is a daily email entry thing that you can do as well. If I'm fortunate enough, I'll do this for sure because it'll definitely be built! Looks like most people looking to build this will need: 6x 4623002 ($0.35 ea), 2x 4644088 ($1.75 ea), and 2x 6084656 ($11.02 ea). You're looking at $27.64+shipping just for the wheels and hand guards/foot pedals. As it stands, sourcing one of these could easily cost you $50-70. The actual kits will go for a fortune. I really wish they would have just released this at retail. They would have sold a ton. Why is everybody so pissy about this? It's a promotional contest- by definition not everybody is going to get one. Are those not allowed? If the prize was a handful of 2x2 bricks people would be complaining that it wasn't rate enough. Just sounds like a lot of people bitching and moaning because they feel they are somehow owed something. 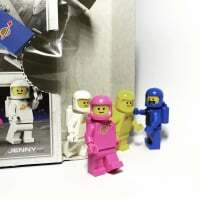 Why didn't Lego release this commercialy? Because they didn't want too. Or maybe they figured it wasn't economically viable. Or maybe they just figured they wanted to piss off a bunch of their customer base. All of these are possible and perfectly in their right to do- However, I seriously doubt they wanted anything other then a cool little prize. But giving away any set would be cool if they gave away 750 of the next idea set it would be good. People don't like exclusives when they are connect to something they have already brought. No one goes crazy over the employ exclusive sets like the duck because they are one offs as much as we might like them we understand who they are for. But people have spent £159.99 on a tumbler and would like a bat pod to go with it so why only offer it to 750 people when they could sell to all and if they still wanted to give away 750 then great. And you guys were whingeing because we got the winter soldier early. ^In theory, but the Bat-Pod is part of the Tumbler. Only makes sense to have them both. I've already started snapping up the parts I need to build this Bat-Pod on the assumption that my luck (or rather the opposite) will hold out. All I want are clearly printed instructions and optionally a parts list to be posted and I'll be happy as a clam. A huge part of the Lego business strategy is themes. This appeals to the mad collector in all of use that wants to complete the themes we like. This just makes it nigh on impossible to collect this simple set. Having the batpod as an exclusive is really poor because it is very iconic and half of them will end up on ebay priced that high most genuine dark knight/dc/super heroes fans won't have a chance at buying it. 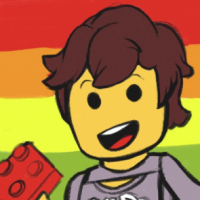 ^^People waste most of their money on the secondary market when they could be spending it on actual LEGO products sold by LEGO! I think part of it is LEGO's generally anti-reseller stance combined with their continual release of limited-availability items that fuel the secondary market. The eternal conflict with limited promotions are that they are a way to produce things that otherwise wouldn't have been made, but they are also done at such limited runs that the overwhelming majority of people who want one can't get it without spending a lot of time and money. For most people, this set is a "look at this cool thing you can't have" and that's frustrating. I always wanted to pull my tumbler a part to try and piece together the bat pod! This post excited me but dissapoints in equal measure! I'm from the UK so even the chance for me to win one of these is out! This set is like any limited set for instance San Diego it's super cool and it will go for a lot on ebay. But the fact it's limited just makes it cooler. ^Unlike most of the sets at Comic Con, this one will likely be "rebrickable" with standard parts that can be purchased online from sites like Bricklink, etc. In theory, everyone should be able to build one of these for under $50 if they really want one. So while the packaging and original instructions will be limited, the set itself probably won't be.